I found the Doctor and her staff to be excellent. They were respectful,personable,and professional. I was very anxiousabout the appointment and am so happy to have chosen this practice. I found the Doctor and her staff to be excellent. They were respectful,personable,and professional. I was very anxious about the appointment and am so happy to have chosen this practice. I had 2 appointments with Dr. Flaks for hives. She took 2 biopsies and sent them to PennMed instead of LabCorpwhich my insurance requires. Now I am being billed an exorbitant amount by Penn Med for tests that would have cost me nothing if they had been sent to LabCorp. I have repeatedly emailed the office and spoken to them because Penn Med told me that the practitioner would have to call and discuss the matter with them but that has not happened. This has been going on for more than 3 months. I had 2 appointments with Dr. Flaks for hives. She took 2 biopsies and sent them to PennMed instead of LabCorp which my insurance requires. Now I am being billed anexorbitant amount by Penn Med for tests that would have cost me nothing if they had been sent to LabCorp. I have repeatedly emailed the office and spoken to them because Penn Med told me that the practitioner would have to call and discuss the matter with them but that has not happened. This has been going on for more than 3 months. Renata Flaks, DNP is a family nurse practitioner. Before opening her practice, Dr. Flaks worked as a dermatology nurse practitioner at Accredited Dermatology. She received her graduate degree (MSN) and her doctorate degree (DNP) from Monmouth University. The scope of her practice includes the entire family from diagnosing and treating acute and chronic dermatologic illness to performing biopsies and excisions, interpreting diagnostic and pathology studies, prescribing medications, conducting full body skin examinations to performing cosmetic procedures. The receptionist was very rude. Dr Flaks was extremely professional and courteous as was her staff. It was a pleasant visit. 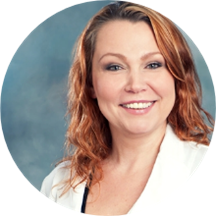 Not one dermatologist in all of Ocean and Monmouth Counties that come close to Renata Flax in knowledge, professionalism, bed side manner, and overall respect for her clients!